When the AP college football poll of the top 12 coolest college mascots came out, I was happy to see Mike the Tiger (LSU’s mascot) at #4. Mike is really cool. I mean, come on, he’s a Tiger. 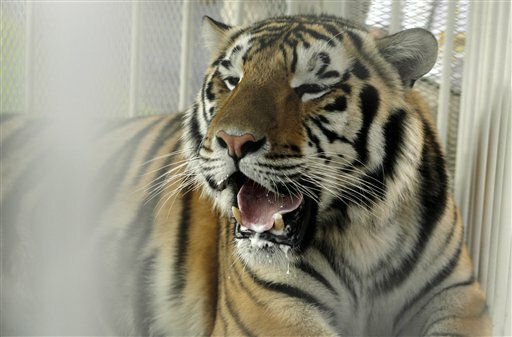 Mike is such a stud he has his own website (complete with his ferocious tiger growl), personalized twitter account (he’s quite the persistent tweeter, having sent out 725 tweets to his 2,100 loyal followers), and he has a live tiger webcam that allows you to see him roaming around his habitat. Speaking of habitat, Mike lives like any King Tiger should, in a place pimped out suitable for MTV Cribs. His beautiful Baton Rouge bachelor pad is 15,000 square feet of lush planting, a large live oak tree, a beautiful waterfall, and a stream evolving from a rocky backdrop overflowing with plants and trees. Also complete with an Italianate tower and a cool bridge. Mike’s digs were built in 2005. Had it been built when I lived on campus, I probably would have traded in my quaint dorm room for a cozy 5,000 square feet area by the waterfall. 1) Ralphie the Buffalo, Colorado. Her (yes, Ralphie is a female) size (1,300) and speed (25 mph) combination would have Ralphie soaring up Mel Kiper’s draft board. Unfortunately for CU fans, many home games in recent seasons have peaked with her entrance. From the panel: “Nothing says, ‘Look out!’ like a Buffalo on the run, dragging four or five guys with him.” – Mike DeArmond, The Kansas City Star. 2) Uga, Georgia. Normally, dogs in sweaters are hard to take seriously. This English Bulldog, however, could make a tutu look tough. And by the way, don’t even think about trying to put a tutu on Uga. From the panel: “Society still mistreats unattractive humans, so it’s nice to see this ugly bulldog with the charming personality get showered with so much love between the hedges.” – Tom Keegan, Lawrence (Kan.) Journal-World. 3) Chief Osceola, Florida State. Many native-American mascots have been fazed out of college sports in a recent years, but with the blessing of the Seminole Tribe the Chief, his Appaloosa horse, Renegade, and his burning spear have endured. From the panel: “When he puts the flaming spear into the 50-yard line, wow, that can give you some goose bumps.” – Gillen Garland, WWL-TV in New Orleans. 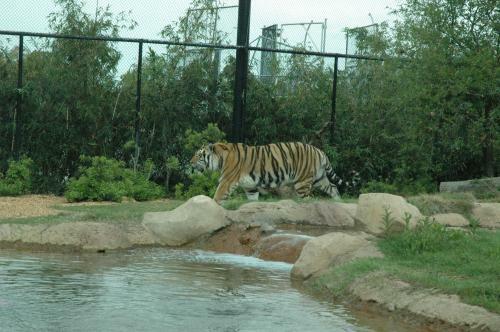 4) Mike the Tiger, LSU. During warm-ups at Tiger Stadium, Mike’s cage is stationed near the visiting team’s tunnel so opponents have to walk by him to step on to the field. Welcome to Death Valley. Please don’t feed the cat. From the panel: “Does he smile more than the last two LSU coaches (Nick Saban, Les Miles) combined?” – Jack Bogaczyk, Charleston (W. Va.) Daily Mail. 5) War Eagle, Auburn. OK, the mascot is actually Aubie, a student in a fuzzy tiger suit. War Eagle is the battle cry. But there is a War Eagle, a golden eagle that swoops down onto the field before games and puts the kid in the costume to shame. From the panel: “I’ve seen many things in college football and, in my opinion, few things (if any) produce more chills than Tiger flying around the field before a big night game at Jordan-Hare Stadium.” – Wes Rucker, Chattanooga Times Free Press. 6) Stanford Tree. You have to respect a mascot this ridiculous – and irreverent. The costume usually looks as if it came straight from a middle school play, but the Tree has had some very adult issues in recent years. It was once busted for being drunk on the job. The replacement tree later that year was banned from the NCAA basketball tournament for scuffling with security guards. From the panel: “It has been suspended, ejected and vandalized. It is created anew every year. It is a precious gift to college athletics, one never fully appreciated beyond Palo Alto.” – Mike Hlas, Cedar Rapids Gazette. 7) Bevo, Texas. The burnt orange longhorn doesn’t charge like Ralphie or stay in a cage like Mike. But at 1,800 pounds with 72-inch horns, it’s best to steer clear of Bevo. From the panel: “Bevo has to be the toughest, most intimidating mascot in all of sports, even if Earl Campbell once knocked him to the ground.” – Kirk Bohls, Austin American-Statesman. 8) The Mountaineer, West Virginia. Buckskin suits and coonskin caps never go out of style in Morgantown. The mere sight of the Mountaineer can get you humming John Denver’s “Country Roads.” Though the rifle can be a bit unsettling. From the panel: “The guy has a gun. Would you mess with him?” – Eric Hansen, The South Bend Tribune. 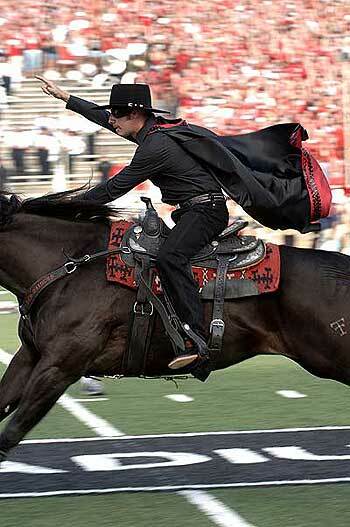 9) The Masked Rider, Texas Tech. Maybe the only mascot in the country that can be described as swashbuckling. And since 1974, many of the Masked Riders have been women, so points for being progressive. From the panel: “Overshadowed in the Big 12 by Ralphie the Buffalo and Bevo, the Masked Rider makes a far more dramatic entrance atop the thundering black gelding than either massive animal does.” – Keegan. 10) Sparty, Michigan State. With his jutting square jaw, the costumed mascot sort of looks like a muscle-bound Jay Leno in a green Greek warrior attire. From the panel: “In the annual Big Ten player polls we have done in the past, he always won.” – Bob Asmussen, Champaign News-Gazette. 11) The Leprechaun, Notre Dame. Not to be confused with the guy on the Lucky Charms box, ND’s Leprechaun pumps out push-ups when the Fighting Irish score, wields a shillelagh and supposedly has magical powers. Apparently, his powers were no match for Charlie Weis. From the panel: “Still remember how his image used to scare me while watching Irish games as a little kid.” – Keith Sargeant, Home News (N.J.) Tribune. 12) The Fighting Duck, Oregon. The story goes Walt Disney himself agreed to let the costumed-mascot resemble the famous cartoon character, Donald. A few years back, when the university tried to nudge Donald aside for a sleek, space-aged duck suit, the students rebelled and the new duck was dropped. Don’t mess with Donald. 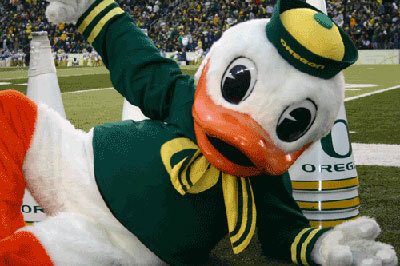 From the panel: “A duck might be the weakest mascot a football team can have, but I still love it. And seriously, who doesn’t like Donald Duck?” Adam Zuvanich, Lubbock Avalanche-Journal. Ralphie the Buffalo? Stanford tree? Oregon duck? Mike the tiger gets my vote. Way cool. 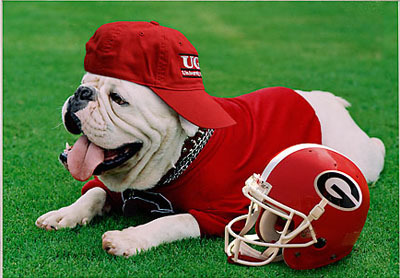 UGA should be #1! Go Dawgs! Go BRUINS! 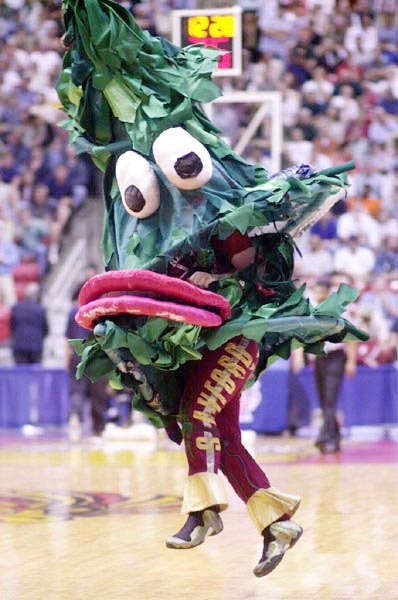 The Stanford tree is a joke. I like this weblog extremely a great deal, Its a real good place to read and incur info .